The man got away with an undisclosed amount of cash, authorities said. 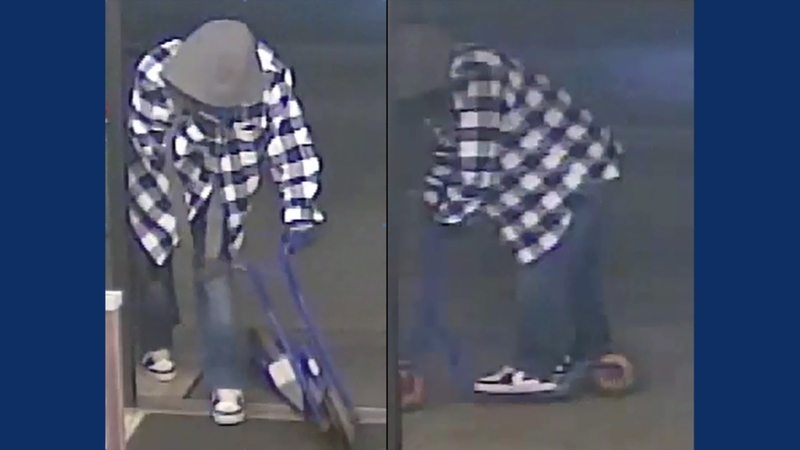 Surveillance images released by Santa Rosa police show the suspect in a Jan. 24 Domino's robbery riding a scooter. The man who robbed a Domino's Pizza in Sonoma County last month was riding a "distinctive blue scooter" when he made his getaway, authorities said Wednesday. Santa Rosa police say the suspect, a man in his 20s, was holding a handgun on Jan. 24 when he robbed the store, 1561 Farmers Lane, of an undisclosed amount of money. He was wearing a black ski mask, a black checkered shirt with a gray hooded shirt underneath, black pants, and black and white Nike shoes. He was riding a scooter, police said. Surveillance images released by police show the suspect outside the store riding the scooter. Anyone with information regarding this case is asked to contact the Santa Rosa Police Department. The Sonoma County Alliance "Take Back Our Community Program" is offering a reward of up to $2,500 for information leading to the arrest and conviction of those involved in the robbery.